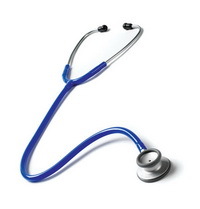 Our lightest weight Clinical Stethoscope ever! Weighing in at only 4 oz. this scope is made of anodized aluminum, giving it both strength and durability along with the comfort of its ultra light weight. All parts are latex free and it comes with the Prestige Medical Limited Lifetime Warranty.